In the original novel that drove a series of bestsellers, Odd Thomas is a humble soul distinctly lacking in what many would consider ambition. His goals in life are simple: to help others using his unusual gifts whenever possible, to love Stormy Llewellyn to the best of his ability, and to live as normal a life as possible. When Odd sees a cluster of otherworldly bodachs following a customer who enters the Pico Mundo Grill during his shift as a fry cook, he feels compelled to investigate. Odd knows from long experience that the ominous spirits, which few others can see, are drawn to death and mayhem, and their presence in such large numbers surely heralds an approaching calamity. Odd quickly finds himself in deep trouble while tracking a serial killer fanboy, who is apparently aware of every move Odd makes. Unfortunately the villain’s intended target is unclear, and to make matters worse, the fanboy killer is not working alone. Also, unfortunately, the conspirators go after the people Odd loves. This riveting story quickly drew me in, and kept me on the edge of my seat with every page turned. 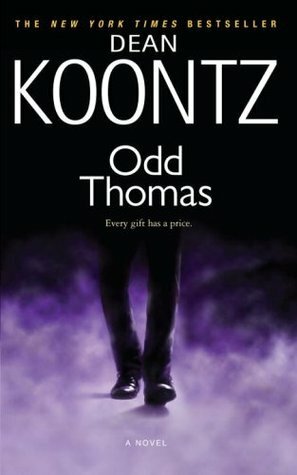 Odd Thomas is a true hero; he doesn’t see himself as such, but he thinks nothing of placing himself in harm’s way to save the lives of others. The fatal flaw in Odd’s gift is that he can’t always tell immediately whether someone he sees is a ghost or the living, leaving a pall of uncertainty over his course of action in this story. From Koontz’s descriptions of the ghosts and spirits Odd encounters, to the friendly and otherwise-normal nature of his protagonist, to the rich tapestry of secondary characters that surround Odd, the author presents a cast of heartwarming characters made all the more touching by the dangers that lurk around the corner. This novel represents the best in paranormal thrillers, and I enthusiastically give it five stars.